Ski patrollers (skiing or snowboarding first aid personnel) first got a report of an injured skier a few minutes after 2 p.m. They said he was skiing when he hit a tree stump that caused him to lose control and crash into another tree. 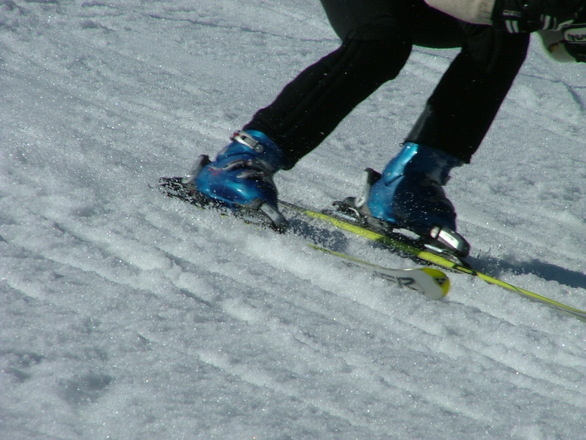 For those who haven’t skied before, ski trails are marked according to difficulty, ranging from a beginner single green circle to a double black diamond expert trail. Victim was skiing on a beginning trail at the time of the accident that ultimately proved fatal.In this particular case, victim was wearing a helmet, but unfortunately, the boy suffered blunt force trauma to his abdomen, and that was the injury that would eventually result in his death. It should be noted that there have not been any formal accusations of negligence as of this time. One thing to keep in mind when dealing with accidents that occur at ski areas, amusement parks and many other types of recreational facilities is that the operators will typically require participants to sign a waiver before engaging in the activity. As our Boston personal injury attorneys have seen in many cases, these waivers are very long and often contain nothing but small print. They also attempt to disclaim everything, including reckless behavior by company employees. While some of these waivers might be effective, courts in the Commonwealth will look to the totality of the circumstances, including the fairness of the agreement. In many cases, participants are never given a realistic option to read the contract before signing, as they are not presented with the waiver until after purchasing a ticket. In some cases, they never ask the participant to sign and claim that by entering the park or putting a ski lift ticket on their jacket, they have affirmatively accepted all terms of the agreement. The courts will also look to the type of conduct excluded and what actually caused the accident. For example, it is very hard to entirely limit one’s liability for everything including employee negligence in business to consumer transactions. In purely commercial transactions involving two businesses, it may be possible to do this, because the businesses are thought to be in more equal bargaining positions and likely have counsel to assist them with any liability issues. Another thing to keep in mind is that in Massachusetts some of these ticket purchases may fall under the protections of the very strong consumer protection act known as Section 93A after its number in the volumes of the Massachusetts General Laws. This act will also provide for double and even treble (triple) damages in some cases, but there are a lot of procedural issues that must be addressed first, including a proper demand letter.